Derivatives. It’s simply a tool, a leverage to amass returns or to hedge risks. If you did not understand that, don’t worry, we are about to go on a short tour to understand the terms that make the language used in derivatives trading. Whether you are a baby boomer facing retirement or a millennial that is just starting out on derivatives trading, this article will offer you a practical basic guide for understanding the world of derivatives trading. First things first, what are derivatives? We’ll illustrate this with an example of a simple derivative investment that allows an investor to buy or sell an option on a security (something of value). The investor does not own the underlying asset but he or she makes a bet on the direction of the price movement in an agreement with a counterparty (the person taking on the other side of the trade) or exchange. Easy enough so far? Derivatives are financial contracts that derive their value from an underlying group of assets like commodities, stocks, bonds, currencies, interest rates, cryptocurrencies and market indexes. The financial contracts are between two or more parties, and its price is determined by fluctuations in the underlying assets. Each derivative comes with its own risk and basic term structure. Derivatives are used for trading, hedging in risk management and speculation, which is essentially betting on the future price of an asset. Whatever the purpose or financial goal you seek, derivatives when done right, is an extremely useful financial instrument. What are the types of derivatives available? A contract whereby the buyer (or seller) agrees to an obligation of buying an asset for a price determined today, with payment and delivery occurring at a future point. These contracts are determined at a futures exchange, which acts a marketplace. Sellers are termed the short-position holder and the buyer is called a long-position holder. Not all futures are settled at expiration upon the delivery of the underlying asset — many are cash-settled, which means the loss or gain or loss is a positive or negative cash flow to the investor. Futures are perfect for those who want to make a large profit with a small amount of capital or for those who want to take on a price risk transfer by hedging to offset the risk of changing underlying market prices. 2. Forwards (or “Forward Contract”). Forwards are similar to Futures, excepted that they are not traded on an exchange, but over the counter. When a forward contract is created, the buyer and seller may have customized terms, size and settlement processes for the derivatives. Forwards are fantastic when someone wants to hedge to eliminate price risk or speculate to make a tidy profit. A contract in which a seller (aka option writer) agrees to sell an asset to a buyer (aka option holder) at a pre-determined price at a specific date. It’s a bit like pre-ordering a new book online. The biggest difference between an option and a future is that an option gives the holder the right, but not the obligation to buy or sell the asset. Options trading is great for those who want to participate in the market without holding a large quantity of stock or those who want to protect their investment portfolio by transferring risk to a person who is willing to accept them. A swap is a contract through which two parties exchange financial instruments. The financial instruments can be almost anything, but most swaps involve cash flows based on a notional principal amount (predetermined dollar amount or principal, on which the exchanged interest payments are based), that both parties agree to. Swaps are useful, especially when one party has a comparative advantage, this means it gives one party the ability to sell goods and services at a lower price compared to its competitors, and gain better sales margin. This is where two parties exchange a fixed rate loan for a floating rate loan to try to even things out. If one party has a fixed rate loan but has floating rate liabilities, he or she may enter into an interest rate swap with another party and exchange the fixed rate for a floating rate to match liabilities. Interest rate swaps can also occur through option strategies while a swap option provides the owner the right but not the obligation to enter into the swap. Those in business would find this useful; currency swaps allow one party to exchange loan payments and principal in one currency for the payments and principal in another currency. A contract where party and counterparty agree to exchange cash flows, which are dependent on the price of an underlying commodity. Commodities are traditionally, grains, gold, oil, and natural gas, although recently the definition has expanded to include foreign currency. Derivatives are traditionally exchange-traded or traded over the counter (OTC). The latter are contracts between counterparties and are telephone or screen traded by banks outside the regulated exchanges. OTC derivatives are contracts made privately between parties, such as swap agreements, in an unregulated venue while derivatives trade on an exchange use standardized contracts. In both cases, the process can be lengthy, costly, complex and dependent on trading time on the Exchanges. In recent times, cutting-edge peer-to-peer Derivatives Exchange like Level01, have emerged to facilitate trade with greater transparency, security and speed. Its Blockchain platform removes the need for intermediaries like brokers, which makes it more efficient to trade at a lower cost, while its smart contracts are automatically generated when a trade match occurs. All transactions are secure and payments are enforced. Level01 assists trade matches and fair pricing with its groundbreaking AI analytics. Making it easier, faster and cheaper to trade anytime, anywhere in the world. How are derivative pricing featured? Spot price refers to the current price in the marketplace at which any given asset like currencies or commodity can be bought or sold for immediate delivery. This refers to the price at which a derivative contract can be exercised. There are two derivatives that use strike price, and they are call and put options. Calls give a buyer of the option the right, but not the obligation, to buy a stock in the future at a certain price (strike price). Puts give a holder the right, but not the obligation, to sell a stock in the future at the strike price. This is the price where a bond or preferred stock can be redeemed by the issuer. The price is set at the time the security is issued. The price at which an asset will be sold if a put option is exercised. Also called the strike or exercise price of a put option. A put is an option contract that gives the investor the right, but not the obligation, to sell a specified amount of an underlying asset at a set price, within a designated time. 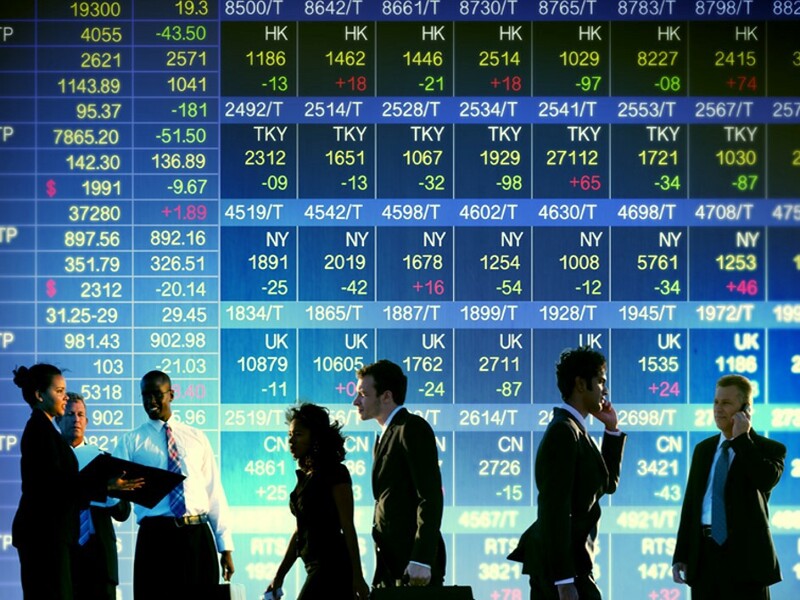 What are the common strategies in derivatives trading? This is when you suppose a security’s price will rise and you buy the right to own (long call) the security. As the long call holder, the payoff is lucrative if the security’s price surpasses the exercise price by more than the premium paid for the call. You take this strategy when you imagine a security’s price will drop and buy the right to sell (long put) the security. As the long put holder, the payoff is high if the security’s price is below the strike price by more than the premium paid for the put. This is when you feel that a security’s price will decline and sell (write) a call. If you sell a call, the counterparty (aka the long call) has a say over whether or not the option will be exercised because you give up control as the short. As the writer of the call, the payoff is equal to the premium received by the buyer of the call if the security’s price declines, but if the security rises more than the exercise price plus the premium, you will then lose money. You apply this strategy when you suppose that the security’s price will climb up and sell (write) a put. As the writer of the put, the payoff is equal to the premium received by the buyer of the put if the security’s price rises, but if the security’s price falls below the exercise price minus the premium, you will then experience a monetary loss. A discerning selection of terms covering the basics in derivatives trading seem to be an ambitious task, but we think they provide the most essential, needed and rumbustious way of making sense of it all. Level01 is set to create a seismic shift to put the derivatives market back on track to its mighty potential. Visit our website or get in touch with us through any of our social media channels! Oracle Times: Can Anyone Become Rich From Trading Derivatives? Yes, And It Does Not Require Lots Of Money To Start. Copyright SoCanny. All Rights Reserved. Powered by Powered by WordPress.com.